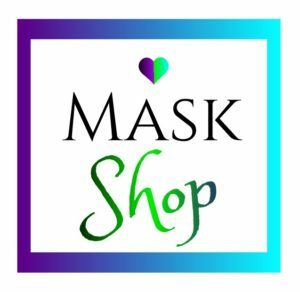 Luxurious Mask Blue Crystals that glitter with shades of Royal Blue, Cherry and Violet. 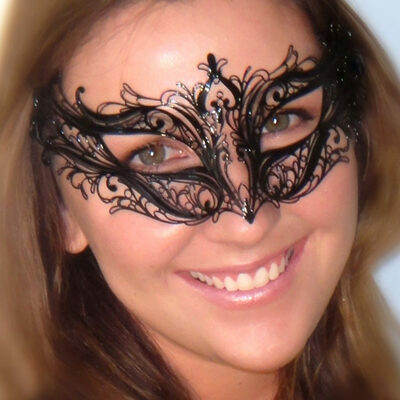 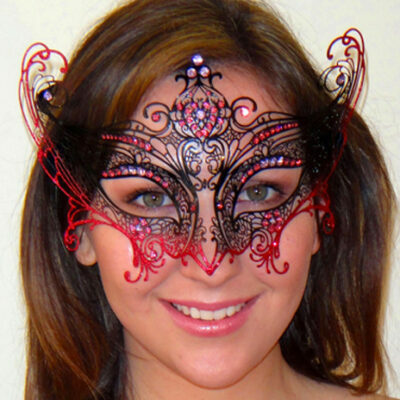 A Beautiful Comfortable Italian Made Ladies Mask which is our best fitting mask of all time. 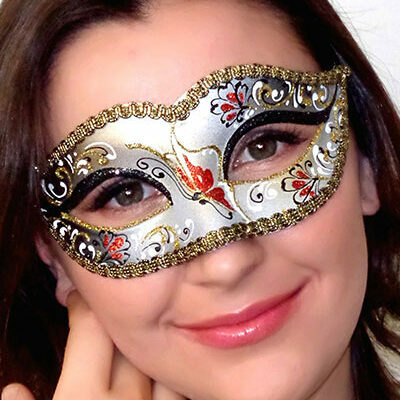 It contours the face perfectly and is ideal for those seeking glamour with comfort. 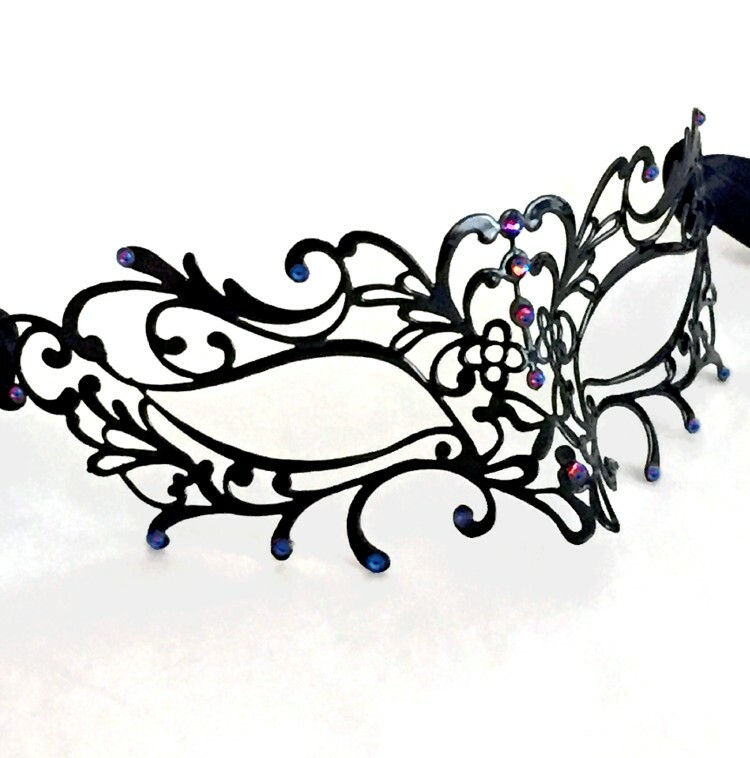 Super Lightweight, this Masquerade Mask is Made from Filigree Metal Lace which can be gently bent if necessary to fit your face. 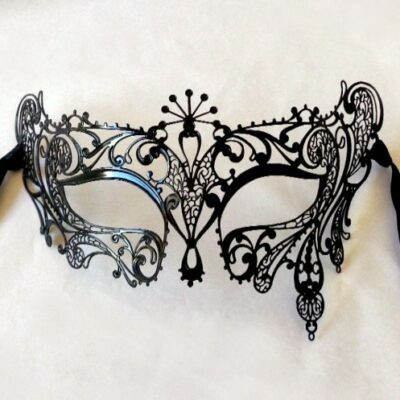 This mask secures to the face with Black Ribbon ties. 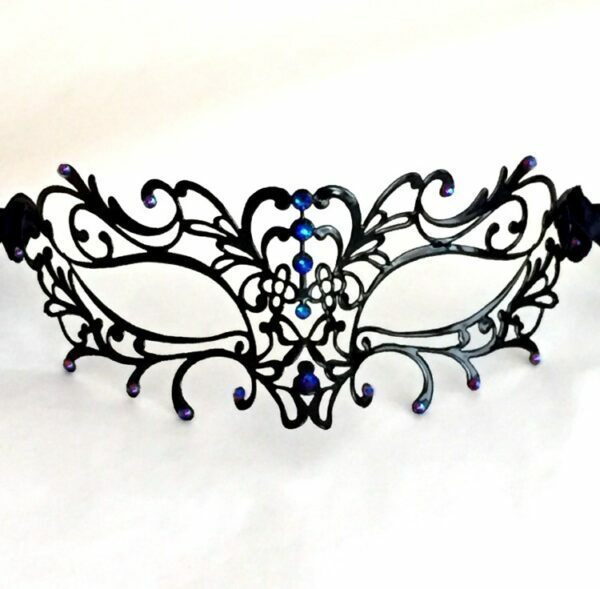 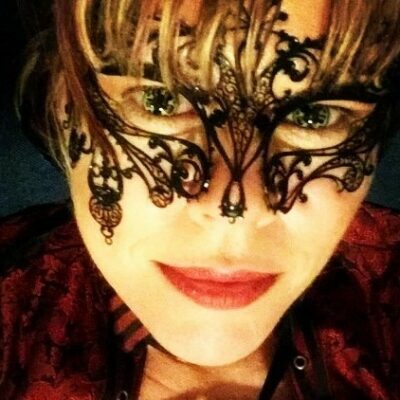 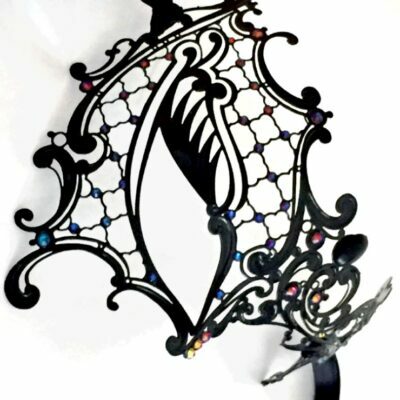 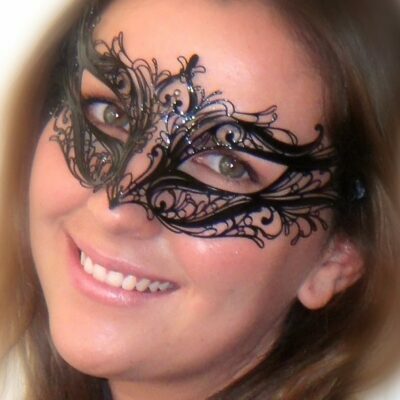 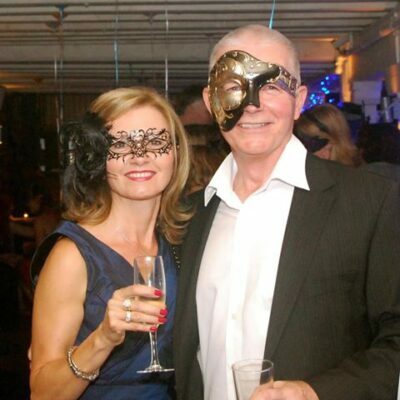 The Mask itself is black which contrasts well with the Swarovski. 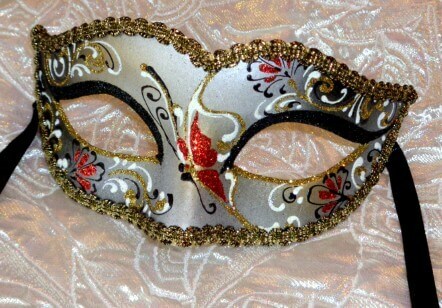 Made in Venice Italy, ideal for a Petite to Regular Size Face.